Branched Chain Amino Acids, or BCAAs, are one of the best workout supplements you can take. Unlike other amino acids, BCAAs bypass the liver and can be utilized by the body virtually immediately. Thus, when it comes to when to take BCAAs, you can take the before, during, or after a workout for fuel and to improve muscle synthesis. There’s just one problem though. Most BCAA powders are in poor taste! The good news is that top brands have gotten better at formulating their BCAA powders so they don’t taste terrible. I tested out a lot of different brands and combed through reviews. 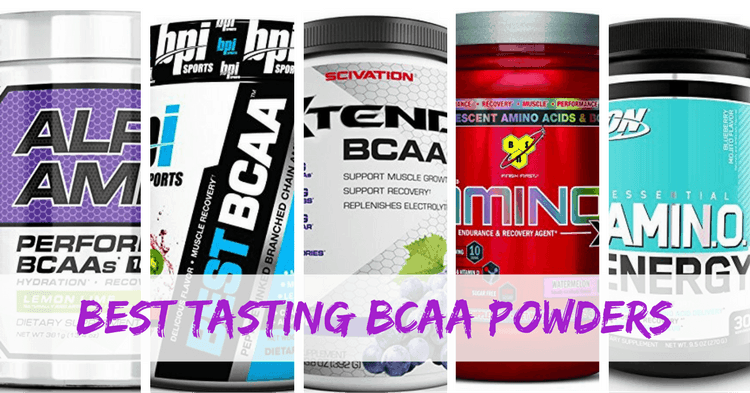 The best tasting BCAA powders I’ve reviewed below. In choosing these best tasting BCAA powders, I also looked at some other features – like whether they actually hold up nutritionally. I also wanted to make sure that the taste wasn’t coming from loads of chemical additives. It’s pretty hard to find a good tasting BCAA powder that doesn’t have artificial flavors. I don’t mind the artificial ingredients too much in this case though, especially if it is the difference between being able to stomach the BCAAs or not. Marketed as “the best-selling, most advanced BCAA drink mix on the planet,” XTEND certainly has a cult following. It is definitely a high-quality product. With 7 grams of BCAAs per serving, it also offers a higher dosage than many competing products. 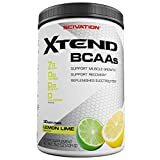 My Favorite XTEND BCAAs Flavor : I like the lemon lime flavor. It’s really refreshing! 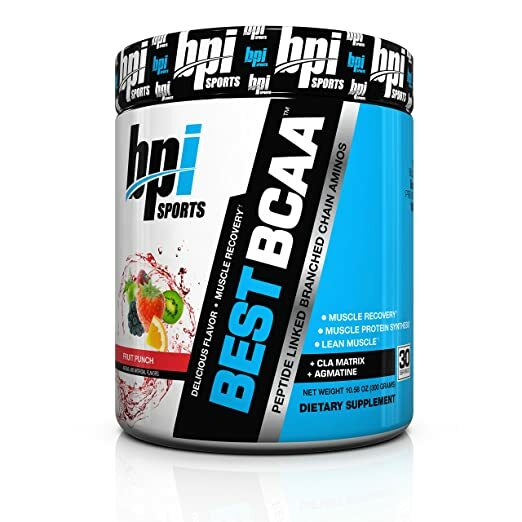 What makes Best BCAA Powder by BPI Sports different is that it uses “Oligopeptide-enzymatic technology” to formulate the amino acids into a bond. According to the manufacturer, this helps the body utilize the BCAAs faster so you get better results. As far as flavor goes, BPI Sports almost always gets positive reviews. I don’t particularly like the grape flavor because it reminds me of cough syrup, but that’s my opinion. All flavors of the BCAA powder are super sweet though. Instead of using stevia, BPI uses acesulfame-k, which is 200 times sweeter than sugar. 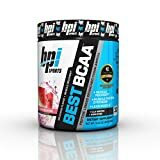 My Favorite BPI BCAA Flavor : Watermelon ice is really good. This BCAA powder is different than the others. It also contains 160mg of an “energy blend” which consists of caffeine in various forms. For this reason, I would recommend Optimum Nutrition as a pre-workout supplement for women. It is also great for helping you lose more weight, if that’s your goal. Some people don’t like that Optimum Nutrition Amino Energy contains 10 calories and 2 grams of carbs per serving. But, honestly, if you are working out hard enough, you shouldn’t be worried about this low amount of calories and carbs. 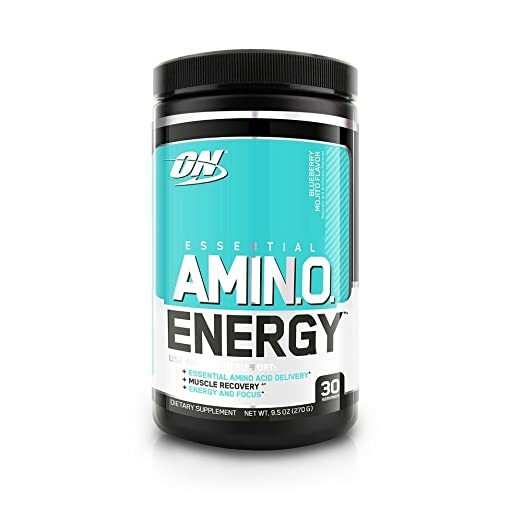 The only thing that I really don’t like about Optimum Nutrition is that they use propriety blends of amino acids, meaning we don’t know how much of each amino acid is in the formula. 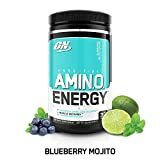 My Favorite Amino Energy Flavor : Blueberry mojito is delicious mixed with just water. Orange cooler and watermelon are also really popular. 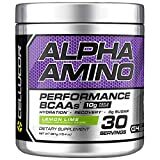 Alpha Amino Performance isn’t as popular as some of the other BCAA powders here, but it is worth considering. 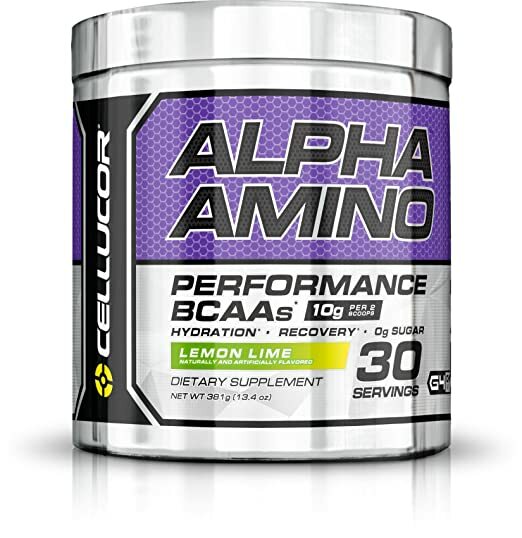 Not only does it have a good ratio of BCAAs, it also contains other amino acids. This makes it great for people who do marathon workouts, or who need a slower-acting source of fuel for their muscles. I also really like that the BCAA powder contains electrolytes. It is incredibly important to stay hydrated, and few people are actually getting enough fluid. One study found that nearly 32% of athletes started training in a dehydrated state. And serious athletes are people who should know better! My Favorite Flavor : Lemon lime is good. Grape and fruit punch are also okay, but I wasn’t too impressed with the other flavors. One of the reasons that this is the best tasting BCAA powder is because it isn’t too sweet. For people who aren’t used to super-sweet drinks, flavored BCAAs can be seem nasty. BSN doesn’t overdo the sweetness in their BCAA powder (the sweetness comes from sucralose in this case). The powder also delivers 10 grams of amino acids per serving. However, because it’s a propriety blend that also consists of alanine, taurine, and l-citrulline, I can’t say for sure exactly how much is BCAAs. BCAAs Per Serving: Propriety blend consisting of other amino acids totals 10 grams. My Favorite Flavor : Watermelon also wins as the best flavor for this BCAA powder. For whatever reason, watermelon flavor disguises the bitterness of BCAAs very well! Blue Raz and dragonfruit are also good. Obviously, you want to choose the best tasting BCAA powder available. However, even these might not taste so great to you. In that case, use these tips to make the BCAA powder taste better. With anything that tastes nasty, it is always easier to drink it cold. I even know one person who mixed BCAA powder into homemade popsicles. She was using the BCAA powder to prevent muscle loss while dieting, so popsicles worked great. BCAA powder is a bit hard to dissolve. It forms clumps, which then end up stuck to your tongue (meaning the nasty taste lingers for a long time!). Do not use cold water. It will clump. But don’t use insanely hot water either. It will clump. Instead, mix the BCAA powder with lukewarm water. Stir until dissolved. After it has dissolved, add some ice cubes and drink up. Alternatively, mix up your BCAA drink the day before. If you really can’t stomach it, just mix up a dosage of BCAA powder with as little water as possible. Put it in a small glass and down it like a shot. It won’t taste good, but at least it will be over with soon. 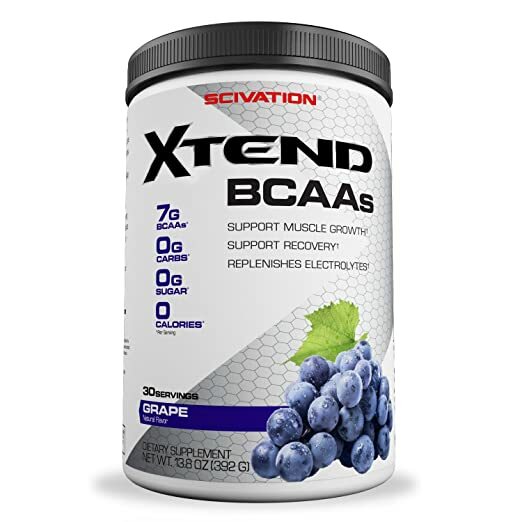 If you want an all-around good BCAA powder, go with XTEND BCAAs by Scivation. 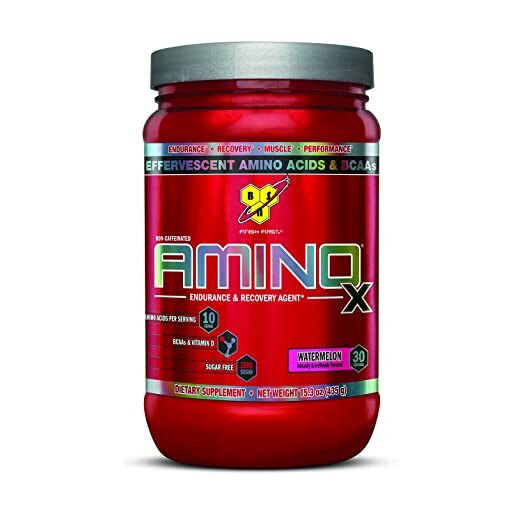 If you don’t like super-sweet BCAA powders but still want something that tastes good, go with BSN Amino Acid X.
There’s sure to be at least one flavor of BCAA powder that you actually like to drink. The MTS machine fuel is good stuff too. Hi Grant, thank you for your recommendation. I’ll give it a try.